Bridging a gap between the past, present, and future, this archive is a link between historical objects, the present Penn Museum, and research spaces where objects are given significance for future study. All are intertwined in a feedback loop reinvigorating the other through a carving of space and a fragmentation of form that implies or generates new connections. 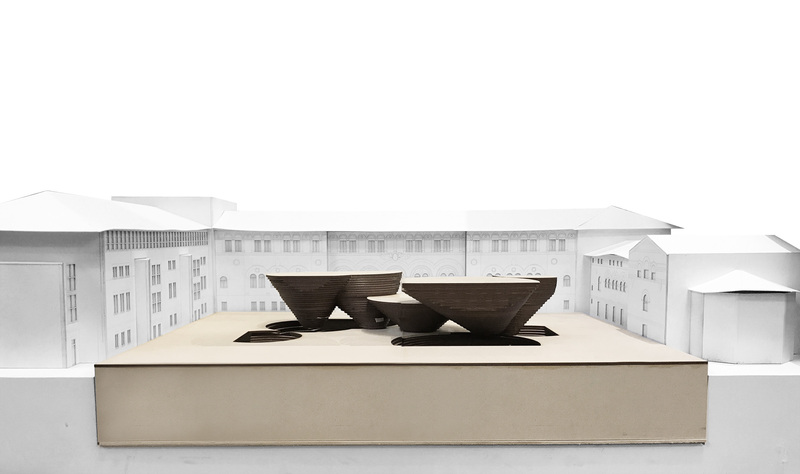 An archive also provides connection between objects separated from their original context and given new meaning through archivists and researchers. Collections of objects and documents exist in fragments, often separated physically by type or size, but meaningful when unearthed, staged, and pieced together. 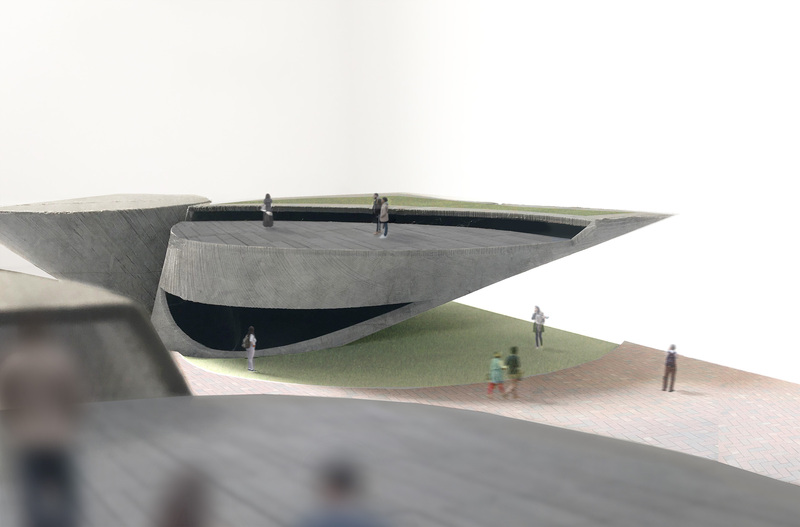 This design reflects a mediation and an interconnection between a displaced whole, through a dialectic of completion and incompletion, inside and outside, solid and void, and presence and absence. 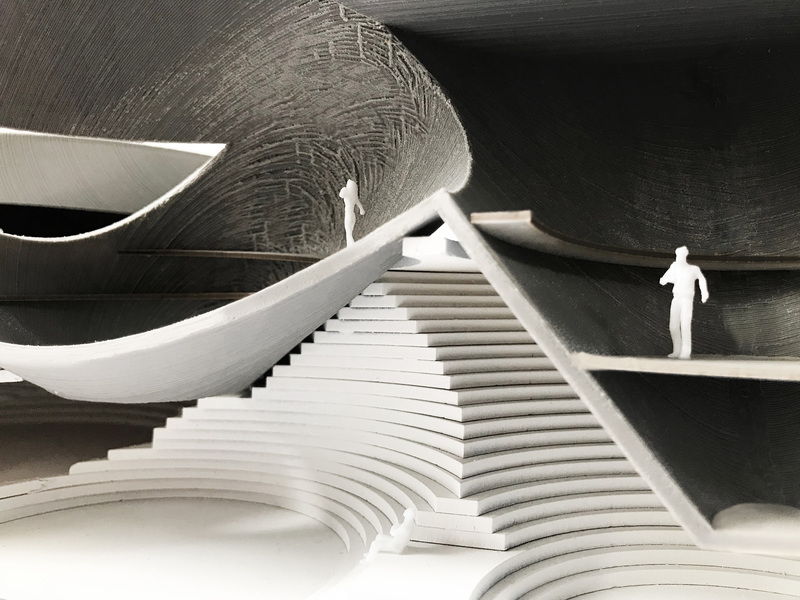 Just as archival objects are re-contextualized, cone-like forms carve through the building and are displaced above, activating points of inflection that connect public and private space. The rigid, carved-out portion below creates the private spaces – object and document storage, staging areas, and circulation for archivists and researchers. 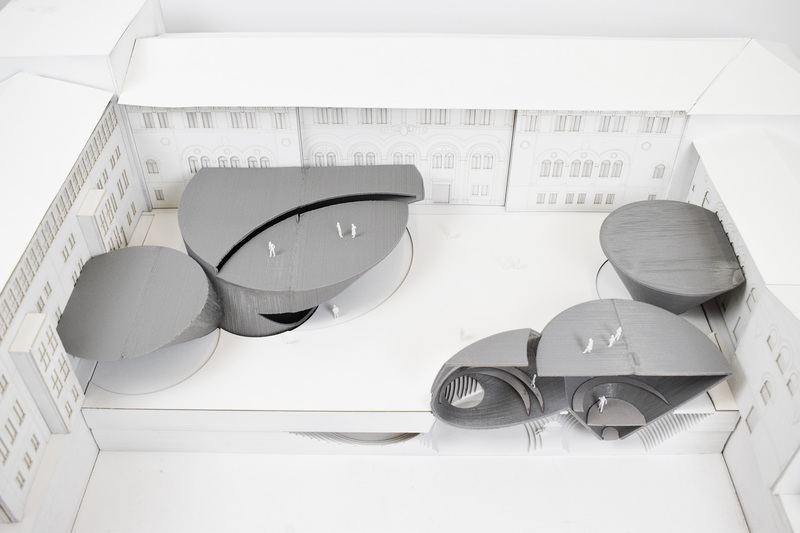 The dynamic, displaced forms above house the public spaces – classrooms, research spaces and gallery – creating vital points of entry from the existing museum down into the new archive. More work form this studio can be seen in Pressing Matters VII.